Many of Silicon Valley's most powerful women are standing out amongst the area's schlumpy braniacs by dressing in expensive couture: Chanel cocktail shifts, Jimmy Choo heels, the works. Of course, high-ranking men have donned fashion status symbols like cufflinks for ages, but it's a little different in Northern California, where most techies dress down à la hoodie-loving Mark Zuckerberg. But a number of notable women told the New York Times that "dressing well (and talking about it) could help erode the stereotypes that repel some women from the technology field." "It's possible to hold your femininity and love of fashion," said Sukhinder Singh Cassidy, a former Google executive who now runs a video shopping site. "Now I feel not at all at risk that people would say, ‘How can she care about dressing well and run a billion-dollar company or be smart?'" 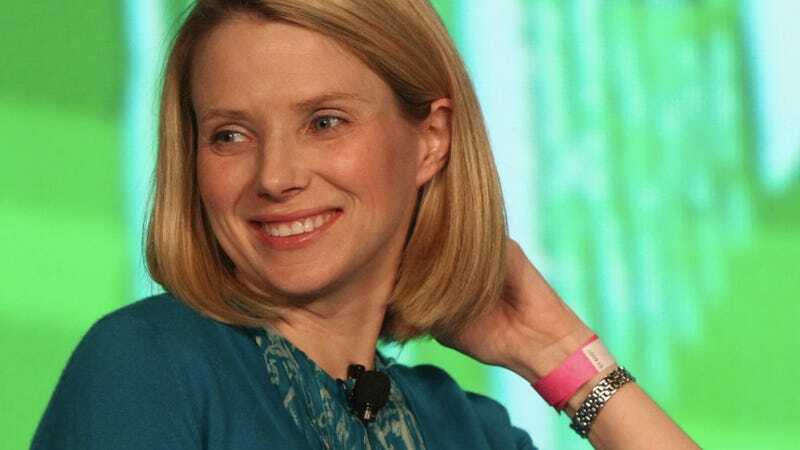 Marissa Mayer, who once paid $60,000 at an auction for lunch with Oscar de la Renta, said she didn't care what her employees thought of her proclivity for full skirts and bright colors. "My willingness to talk about it is because I believe the way we'll get more people into computer science and ultimately more women into computer science is by making it really clear that you can be yourself and don't need to give up parts of yourself to succeed," she said. "You can be into fashion and you don't have to be the pasty white programmer with a pocket protector staying up all night." This is the first Times Styles trend piece about women and tech (or maybe, actually, Silicon Valley in general) I've read in ages that didn't make me groan. It's awesome that these women are wearing whatever they want, and even more awesome that so many of them are talking about it unabashedly, too.